I flew to Canada in 2012 planning to spend nine weeks at summer camp. Eventually, two months teaching Arts & Crafts and basking in Ontario sunshine turned into a whole new life 3500 miles away from home. It was nearly two and a half years until I returned to my native England. My time in Canada was punctuated by paperwork. The company I travelled to camp with helped with my initial year visa through the International Experience Canada (IEC) programme. One year later I applied for the same visa again. In 2014, while on my second IEC visa, I faced a choice; apply for permanent residency or have my visa run out and be forced to go back to England. With a job, an apartment, a boyfriend, and friends in Toronto, I began my permanent residency application as soon as I could. This was no mean feat. I was fortunate enough to be in a profession listed on the National Occupational Classification (NOC) system, and therefore deemed a Federal Skilled Worker. Two years in my role qualified me to apply for Canadian Experience Class permanent residency. Apart from expensive application fees, I paid to sit an English test (for which I was, fortunately, awarded advanced proficiency), a police check, and a medical exam. I was granted permanent residency in September 2014. Among my circle of expat friends, I am extremely lucky – from this small group there are many who haven’t been so fortunate. 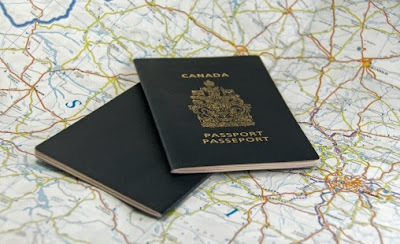 A British friend who lives in Canada had her permanent residency application rejected as they had reached their limit. With a skilled job, a boyfriend and an entire life in Canada, she is forced to move back to England this summer. My Australian friend just moved to England on a two year visa. After two years she has to return to Australia, leaving what roots she’s laid down, what career she’s developed, what home she’s made for herself. Another Australian friend has lived apart from her British boyfriend for much of their two-year relationship, as she had already used her UK visa before they met, and he has been studying in the UK. My Canadian boyfriend, now my fiancé, will hopefully be joining me in England this year, as I have moved back to be closer to my family. Because he’s over 30, he’s ineligible for the Youth Mobility Scheme which offers a two year visa. He will need a job offer or transfer before we can live on the same continent again. We have all struggled through mountains of paperwork, desperately searched the web for answers to immigration questions, and anxiously awaited word on our fate from respective governments around the world. Britons, Australians, Canadians and New Zealanders are a global community. Commonwealth Freedom of Movement would bring fantastic economic and sociological opportunities, better quality of life to those who seek it, and the chance to fall in love with a whole new country. Moving to Canada was the best decision I have ever made, it expanded my horizons in ways I could never have imagined, allowed me to meet amazing friends from all over the world, and gave me another place to call home. We all deserve this opportunity.